This week’s Top Ten Tuesday is all about new authors we read in 2016. It took some digging, and not because I don’t read new authors. It took digging because I don’t usually pay attention to which authors I only just recently discovered. I had to go back through my entire 2016 list and cross check their backlog of titles, just to make sure I had an honest list. Anyone who reads this blog, especially in the months of Sept/Oct, knows how much I adore TJ Klune. He skyrocketed to the top of my romance list, and he holds steady. If I’d only discovered TJ Klune in 2016, I would have counted it as a good year. Thankfully, there were others. Now, I’ve only read THIRDS by Charlie Cochet, but I read them fast. This group of Agents are like my best friends. I love them all, and I look forward to THIRDS Thursday for my little flash fictions, just so I can hold onto them tightly. Destructive Delta was a wonderful gift from 2016. Not to beat a dead horse, but accepting a book basically sight unseen is hit or miss. I didn’t know what I’d be getting when I responded to Robert Thier and agreed to review Storm and Silence. This ties back to my ‘Thanksgiving‘ post, because it felt so good when I loved this unexpected book. I loved this book. I love these characters. I love Mr. Thier by proxy. I know, I know. I’m seriously late on this train. I never read The Grisha Trilogy, and even now I’m not sure I want to. I did really love Six of Crows and Crooked Kingdom though. In part, I think it’s because it was such a departure from usual YA Fantasy that usually has a beautiful and badass female heroine. Instead we got a band of misfits and criminals, and damn if I didn’t love it. Maybe I won’t read the Grisha trilogy, but I’ll definitely be reading what she writes next. It all started with Winter Wonderland, which I loved. Then I read Love Lesson, and I friggin loved that one too! Carry the Ocean was the icing on the cake. It’s one of the sweetest romance’s I’ve ever read. 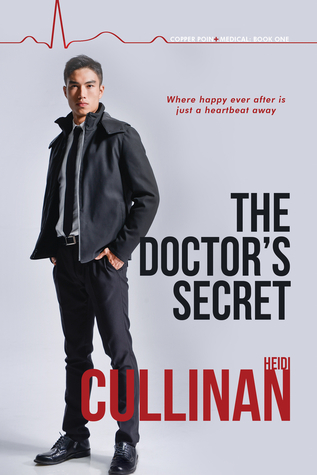 Now I count Heidi Cullinan as one of my favorites, and one of my instabuys. I read a lot of LGBT romance novels, but not a lot of LGBT YA books. It’s not that I don’t want to, it’s that for some reason I’ve always been less impressed by them. I was seriously impressed with Simon vs The Homo Sapiens Agenda. If you haven’t read an LGBT YA book, this one comes highly recommended. Read it. I’ve only read one book by Rick R. Reed, but it was impressively good. It’s not easy to take a sensitive topic and work it all out in 200 pages, but Mr. Reed was able to give me just what I needed to think it would all work itself out. I’d happily read another book by this author. 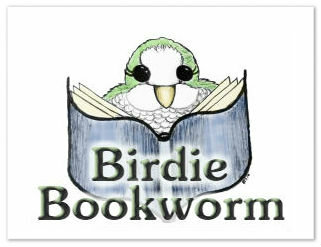 Prior to creating Birdie Bookworm, I’d never heard of David Arnold. I also didn’t intend to read Mosquitoland, but when I saw Kids of Appetite everyone was talking about how much they’d loved David Arnold’s maiden voyage (Mosquitoland). I thought, best to start there. Long story short, it was great. I’m so glad I listened to all you bloggers out there. This was a lot like David Arnold. I’d never read anything by Heather Demetrios, nor had I heard of her. I came upon this book on a random trip to Barnes & Noble. I fell in love with how stark the cover was. The book was just as good as that cover. I’ll read the next book she releases, and I’ll do it comfortably. 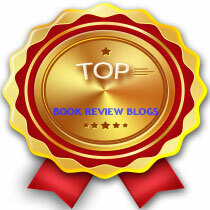 I wasn’t sure that Chanel Cleeton would make the list of authors I enjoyed in 2016, but On Broken Wings got me good. I even cried. A few times. I don’t like to read stories of widows or widowers, and their second chance. Not when the series started off with both halves of the couple alive and happy. I just feel like, no matter how much they try, there’s no way to believe the new love. Chanel Cleeton was the first author that didn’t leave me disappointed. It was perfect. I know it’s really popular. I think I’ll eventually break down and try it. I still need to read Six of Crows. I’m slacking. And I’m so glad you enjoyed Mosquitoland. It was one of my favorite reads last year. I haven’t read any of these authors before but I’m hoping to read Bardugo and Albertalli sometime during 2017. I’m considering reading Mosquitoland too since I’ve heard a lot of good things about it. Leigh Bardugo is a super star! She really hit a home run with Six of Crows. Such a great author to have on your list! She really did hit a home run. That book was amazing! That happens every once in a while to someone on my end, too. Not sure why! I can’t wait to read Kids of Appetite too. I’ve heard it’s great. Wow. You really have discovered a lot of favorites this year. And you’re making me even more excited for Easy’s book! Dude, it was so good! I hope you love it as much as I did! Fingers crossed! I can’t wait to get to it. oh I absolutely ADORE the Six of Crows duology!! It’s so epic and amazing and those little criminal cinnamon rolls are my favourite things of ever. ❤ I totally loved the Grisha books too, but the SoC ones are superior for sure. heeh. And YES! Simon Vs is so adorable and excellently written! It’s the feeling that Six of Crows was superior that partially makes me hesitate to go back and read Grisha. I think it’ll make the differences even more blatant since I did love SoC so much! I love Simon Vs. It was one of my favorite books last year. It was amazing! Are you planning on reading the sister book? I need to start reading Leigh Bardugo in 2017. Just got Six of Crows for my birthday but don’t think I’ll be able to squeeze it in before year’s end. Great list! Thanks! And i’ll be looking forward to your thoughts on it!